GINGER is a medicinal plant or herbal medicines as we used to call that can be used to kill ovarian cancer cells while the components contained in the chili suspected tumor to shrink or shrink the pancreas. So says Dr. Rebecca Liu, assistant professor in the field of obstetrics and gynecology at the University of Michigan Comprehensive Cancer Center, USA, and his team, who have tested ginger powder dissolved and given to ovarian cancer cell cultures. The study says that there is evidence of a variety of hot spicy food or useful to inhibit cancer growth. The study examined the effectiveness of ginger against cancer cells. Nevertheless, this study still represents the first step. It says, ginger may kill cancer cells by two roads, namely the destruction process called apoptosis and autophagy, the process feeds the cell. It is described by experts in the meeting of the American Association for Cancer Research. According to Drs. Rebecca, many cancer patients who develop resistance to standard chemotherapy, in which the action of chemotherapy is the process of apoptosis. While ginger has the ability to eat the cell (autophagy) can help those who develop resistance to chemotherapy. American Cancer Society reported ovarian cancer kills 16,000 than 22,000 U.S. women. 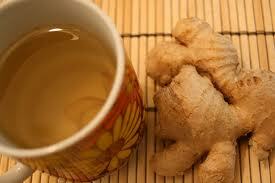 Ginger proved to control the state of inflammation, which is associated with the development of ovarian cancer cells. In another study using rats given capsaicin (one of the content on pepper), Sanjay Srivastava of the University of Pittsburgh School of Medicine, USA, found that capsaicin was able to kill pancreatic cancer cells. Capsaicin make cancer cells die and have the ability to reduce tumor size.